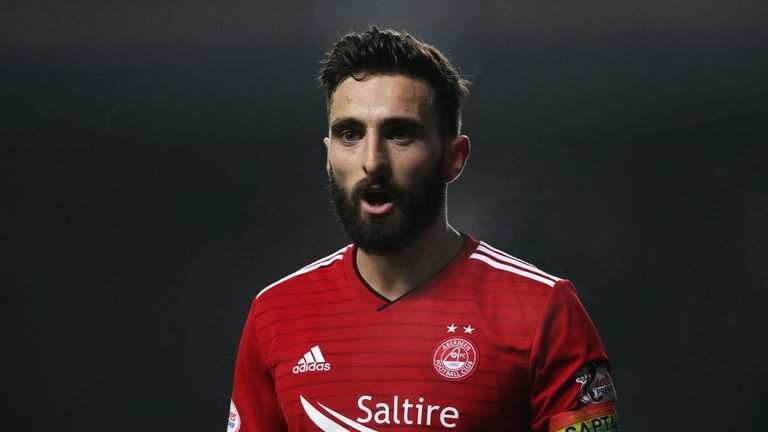 Derby boss Frank Lampard admits the club’s interest in Aberdeen captain Graeme Shinnie is “obvious” but is refusing to take their pursuit any further until the summer. 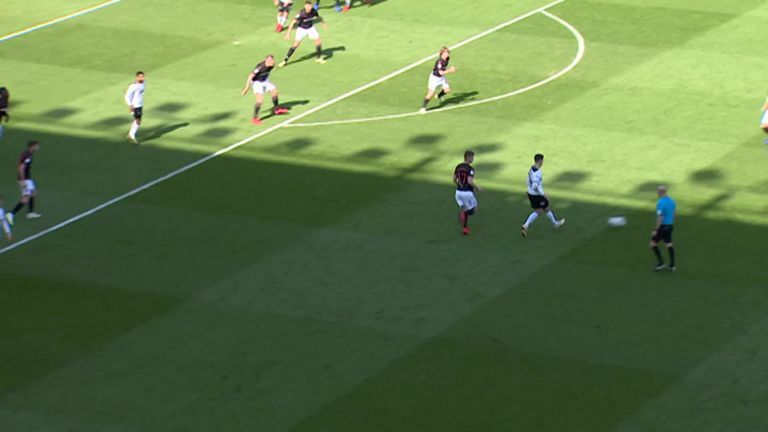 Shinnie, who is out of contract at the end of the season, held talks with Derby last week over a move to the Championship. "I don't want to talk about Shinnie because he is not our player, he is an Aberdeen player," said Lampard. "The interest from our point is obvious, I won't hide behind that. A lot of clubs would want a Graeme Shinnie in their team. "I have got a lot of respect for Derek McInnes as the Aberdeen manager and he [Shinnie] remains their player. "If we wanted to sign Graeme Shinnie, we can't sign him until the summer. We have had talks with him because he is available on a free transfer in the summer but he is Aberdeen's player." Lampard also dismissed talk that the Rams are operating under a 'soft transfer embargo', following reports that the English Football League are looking into the club's financial dealings. Lampard said the club have been "compliant" in providing their financial report for the 2017-18 season, adding: "Obviously I am massively interested how it goes this summer because I want to do how much business we can do. "We need to do business because of the players we are losing that are out of contract in June. That is one for the club to look at." Derby remain in the hunt for a play-off spot this season and go into Friday's trip to Birmingham, live on Sky Sports, just two points outside the top six. 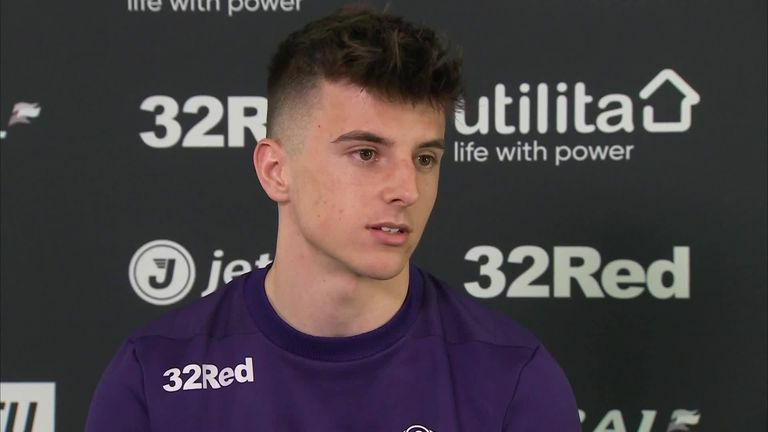 Their form has been boosted in recent weeks by the return of Mason Mount, who scored a hat-trick in last weekend's 4-0 win over Bolton. Mount is on loan from Chelsea, and Lampard is hopeful of persuading his former club to send the midfielder back to Pride Park next season. "With Mason, his talent is special. We missed those attributes [when he was injured] and now we have got them back. "It is important that he can keep his form and, more than that, as a team that we keep our form in the run-in." When asked whether he had held conversations about the future of both Mount and fellow loanee Harry Wilson, Lampard said: "That is a question for the summer. "On a selfish note, I want them with me. If I could have my own way, I would keep them but it is something that they will want to sit down and discuss with their families and agents. "They have got different options and the last thing they will want to do now is go and not play football."